Original or OEM ROMs are not always satisfying all our need, these needs that we can meet by using other custom ROMs. Custom ROMs are those ROMs made by others than the OEM that contains more features than the original ROM, such as combining the features of two UIs together, as we have seen in some Samsung Galaxy Custom ROMs, which allows us to use things like Sony Music Library or Huawei UI along with the main features of the original system, or with the leak of some that doesn’t affect on the use so much, like missing fingerprints or others. In order to install a custom ROM on your Samsung smartphone, you will need to use a tool called Odin. What’s Odin, what’s the utility of it, how to download and how to install it are the main topics of our today’s article. What’s the Odin Flash Tool? Odin is a utility software developed by Samsung to allow both developers and users to install or flash a custom recovery firmware instead of the stock recovery firmware, along with its ability to be used for unbricking certain Android devices. The most common uses of Samsung Odin are to flash stock or custom firmware, flash stock or custom recovery, flash kernel, and to gain access to the root permissions. There are many alternatives for Odin, such as Heimdall and JOdin3, they both perform almost the same functions Odin performs but in different ways, but afterall, Odin software is the most common and trusted tool for performing the above functions. There are many versions of Odin available for download, they differ from each other in terms of compatibility, interface, some bugs, devices types support, and more. 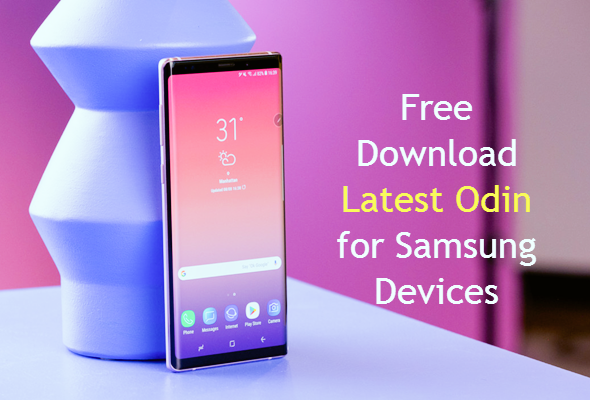 In this section, I will provide you with all the links to download Odin Flash Tool for Samsung Devices along with a brief description for each of them to select the best and most suitable version for your device to download. This is the oldest available version of Odin flash tool, and it works well with older Samsung phones like Samsung Galaxy Wonder (I8150), Samsung Galaxy S1 and Samsung Galaxy S2. This version was showed up with the presentation of the new Samsung Galaxy generation including Samsung Galaxy S3, Galaxy Note 2 and others. Along with supporting the previously mentioned versions, this one supports SM-R350, besides some fixed bugs of binary that offset over 4G in tar. In this version, you will find a newer interface, along with supporting more devices to improve compatibility. This version has some major improvements including the involve to getDeviceInfo (protocol_version 3), the support of feature phone, and Drag & Drop feature added. With this version, the developers started to support ufs device type, along with the feature of implementing U of Mass D/W (56 port). This version included the support for Galaxy S6 / S6 Edge devices along with some bug fixes and enhancements. The company has added RTN for Sprint, the support for Galaxy S7 / S7 Edge, Note 6, and it’s the most recommended version for Android Lollipop running devices. This version is recommended for Marshmallow running devices. This version has fixed the error of flashing for Galaxy S7 / SE Edge USA Models (AT&T, T-Mobile) with the support of Galaxy Note 6 and Note 7. This is the latest version of Odin until now, it was released on February 2018 and it supports S8/S8+ and above devices, and it’s the recommended version for Oreo and above running devices. In this section, I will explain how to use the latest version of Odin to flash a stock or custom firmware on your smartphone. Before going through the steps, you will first need to download and install the latest Samsung USB drivers so you may not face any problems when following the upcoming steps. Now, it’s the time to start flashing your stock or custom firmware on your smartphone. To use Odin, you will need to have the stock or custom firmware you are going to install and it should be in “.bin, .tar or .MD5”. After having all the required files, start booting your device to download mode, and you can do it by switching it off, pressing and holding Power button + Volume Down button + Home button together. Once you feel a vibration, release the Power key only, until a window with a Yellow triangular mark appears, once that happens, press the Volume Up button. 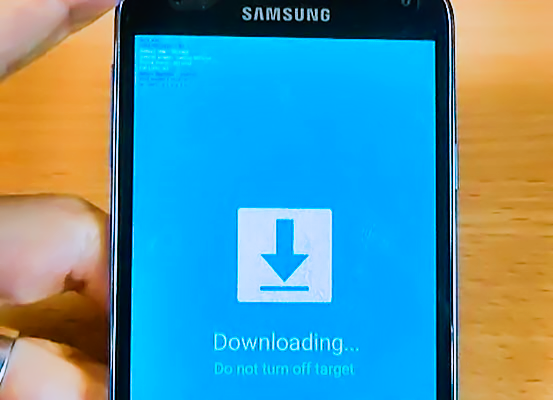 You will see a message saying “Downloading, Do not turn off target”, once you have seen this message, run Odin3.exe as an administrator, connect your Android phone using USB cable, Odin will detect the device automatically and alert you with a message in the white field box on the left side of its screen. Now, after reaching this point, select the file you are going to flash based on its type by clicking on PDA or AP. After selecting the file, click on Start button to begin the flashing process. It may take a while to flash the new ROM based on many factors such as the firmware size, your device specifications and others, and after finishing the process, you will see a Green color message says PASS!. That’s all, your device will reboot itself automatically and your new firmware is flashed successfully. Caution: This process will void your device warranty, and it may break your device, it’s all on your own responsibility. These all previous steps are tested many times by me and others, but it’s better to take a backup of all of your data to assure not losing a bit. I recommend you using Gihosoft Mobile Phone Transfer to be able to take a backup of all of your data including photos, videos, SMS, call logs, WhatsApp messages, documents and more with a click of a button to restore them all again whenever you want and all is for free. Gihosoft Mobile Phone Transfer supports almost any smartphone device, and it allows you to backup your data over your macOS or Windows running PC, besides any other smartphone. In addition, If you forget to back up your data, you can try our Gihosoft Free Android Data Recovery software to recover data from your Samsung device quickly! So, these were the ways to download, install, and use Odin Flash Tool for Samsung Devices to be able to flash any firmware or kernel on your phone easily by yourself without the need to visit maintenance centers and pay dollars for this easy process. Never forget to follow us in Gihosoft and share this article with your friends and family to save them and yourself some money and gain some knowledge related to Android system modifications.